After the countdown to midnight the event commenced with a hearty "go!" About forty-five NaNoWriters gathered at PDX (Portland International Airport) in the food court to start another year of NaNoWriMo. Some of us were from NaNoPortland and some were from NaNoVancouver (WA). Here in the Pacific Northwest we are not the last group to get started - but almost. Hawaii and her time zone neighbors still had another hour to wait after we were well under way. The goal of the midnight NaNoWrite-In is to get your first day's word count in before you go to bed. For some of us, the time is not a problem. Like me, because I often work very late, so staying up until 2 AM is kind of normal. For some, that is well past their bedtime and their bodies were dragging along, kicking and screaming with their characters, asking why they couldn't wait until morning; real morning. One year I didn't go to the midnight write-in. I thought it wouldn't make a difference and I had scheduled myself to work and I thought, really, No Big Deal. For me, being there at midnight with other writers, all driving our words towards a common goal, is important in terms of the tone for the month. I set an intent and follow it with an action. In community. Most of these people I don't know at all and may only see once or twice during the month, if that, if I can get to a write-in where they also happen to be. Most NaNoVembers I only make it to one or two write-ins. So the bulk of my NaNoNovel is written alone, at home or in a coffee shop, on breaks at work, in my car. Midnight as October becomes November is my This Is It time. It is also my annual renewal to daily writing. The daily writing practice is my struggle. I make the commitment, I do it for awhile, then a day slips here and there, then I miss two consecutive days. I keep trying. Even in NaNoVember, I sometimes miss a day or two. Not many, because it doesn't take long to fall behind in the word count. Which is another reason I go to the first midnight write-in : to get a head start on my novel. I will write again today, try to get another full day's word count in the story. This gives me some flex room for the busier days when I can't get in as much time and the goal of an average of 1667 words per day becomes undoable. (I am deliberately avoiding the word, "impossible.") This is also the reason I have taken to scheduling a personal writing retreat around the middle of every NaNoVember: to catch up to myself in word count and sprint ahead. I take three to four days and go to the coast just to write. I pack up some food and huddle in an ocean front rental with my laptop, a bottle of wine, good food, and let the water and sand and air support and inspire at whatever hour of the day or night and I write. And write. So every NaNoVember, I recommit to writing every day. And if it doesn't happen every day, then I make sure to have some longer blocks of time committed to my writing. Like the recent writing retreat in Rockaway Beach with a wonderful group of writers. Okay. My word count when I left the write in was 2520 words, by 2:15 AM. As I was drifting off to sleep, my main character, whom I thanked profusely for showing up at 12:02 AM this morning, told me that I gave her the wrong name. I promised her I would change it when I got back to the laptop; I agree that her real name is better. Get ready for my NaNoWriMo daily updates. Another commitment I make in NaNoVember: to post my word counts each day and give periodic updates on the story, probably. 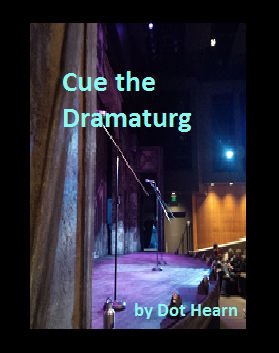 The working title of my 2014 NaNoWriMo novel is "Cue the Dramaturg." So far I have my main character, Lisa June, and her cat, Charlie Dean. Lisa Jean's best friend, Christopher, has been mentioned but we haven't met him, yet. I think he will be making an appearance soon. There has also been mention of Lisa June's ex, Minea, whom we also haven't met and their has been a little foreshadowing about the Ex, but I don't know what that's about, yet. Announcing: Seven Consecutive NaNoWriMo Wins! NaNoWriMo Report Day 4 : Author or Alien?